Tip 1: Latte Art With Soy Milk. Pouring killer latte art with soy milk doesn’t have to be a pin. Soy milk generally has more body than cow’s milk so less air is needed when steaming. Hold back on the heat too, as it can’t take as much as cow’s milk can. First break the crema of the espresso with a splash of soy, then stir (agitate) the hell out of it with a spoon. Then pour the remaining soy in a fast, steady stream (from a height also helps). As the cup approaches ¾ full, begin your latte art, keeping in mind that speed is key in avoiding unsightly splitting that we all hate! Tip 2: Purge That Wand. We all know that purging your steam wand before and after each and every use is imperative for maintaining optimum hygiene. We should also be using a clean dry cloth to wipe the wand as the wetter the wand, the less friction the cloth will have on the wand… and therefore the more likely to develop that unattractive milky layer on the wand… gross! Tip 3: Your Steam Wands Cloth Ain’t No Holla Back Gurl! … And it ain’t no drip tray or bench cloth either. 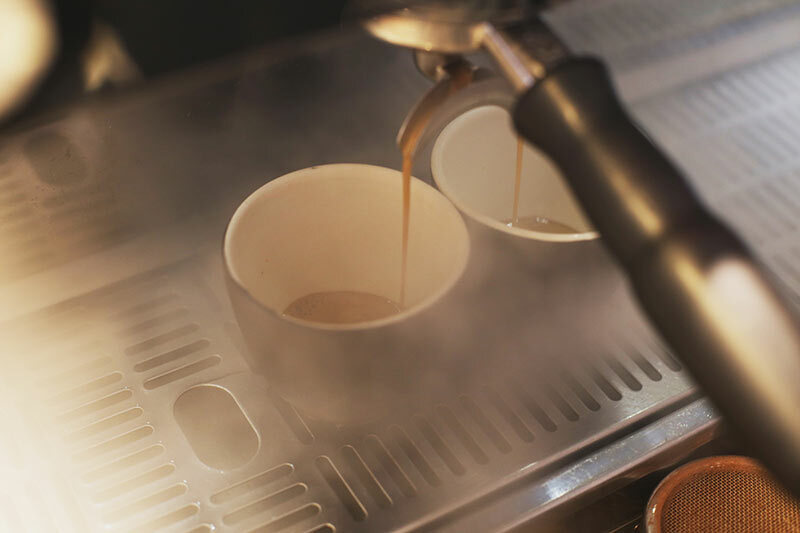 Your steam wand cloth should only be used for wiping the steam wand, to avoid contaminating the pristine environment that is your steam wand with the possibly unhygienic bench/work surface germs. We recommend colour coordinating your cloths to their specific purpose, to avoid any mix ups. Tip 4: Keep That Hopper Full. No matter how busy things get, don’t let those beans in the hopper run low. As you grind coffee right down to an empty or even 1/4 full hopper, you’ll notice your coffee speeding up or slowing down. This is due to an uneven distribution of weight over the burrs in the grinder. If you’re worried about opening bags at the end of the day just for this purpose, invest in some airtight containers to store your coffee in overnight. Maintaining an even weight distribution over the burrs will aid you in a better grind consistency, which means better extraction consistency, which means… flavour country!! For more cups for more customers! Tip 5: Grooming. We’re not talking about how you oil your beard or if you shower before your shift, but how you create an even puck before you tamp. You want to distribute the coffee as evenly as possible, as fast as possible with utmost in cleanliness and consistency. Our advice? Get your bro’s together and have a groom-off. Test whose technique is the cleanest, fastest and produces the tastiest extraction and then adopt that. Feel free to speak to our Barista Trainer on the system to help lock it in for your barista team going forward. Consistency is key! Tip 6: It’s All about Connections. Your hopper’s full, puck’s even Steven, so now it’s time to JAM that group handle in the head! WEH! WEH! Negative, the last thing you want to so is slap that puppy in like an NHL player. Gently make a connection with the group head, this way you won’t crack the puck and will maintain all that effort that just went into creating the perfect bed for extraction, so both spouts can pour at the same time with an even flow rate. (And if not, you need to go back and re asses your mojo.) So when it comes to group handle handling, play pony rather than go bucking like a mule!